This is the Ceraunus Blue. 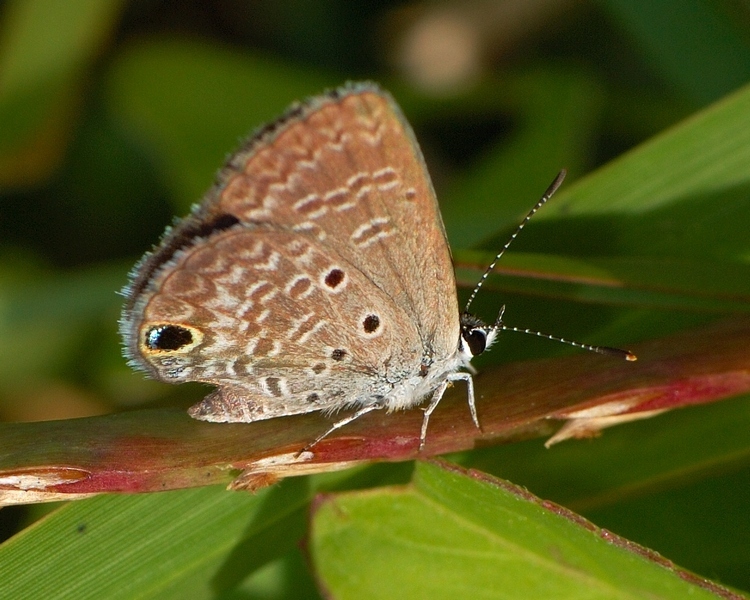 It is a small butterfly that is limited to the south. Normally, it looks a dull brown as it usually lands with it’s wings folded above it’s back. In the early mornings though, it sometimes spreads its wings to warm in the morning sun and you can see the briliant blue that gives it it’s name. Normally, you see the blue as it flitters in the low grass and it disappears as soon as it lands. If you get close enough to examine it, it is one quick flick from leaving so, seeing the brilliant blue of the wingtop at rest is a rare treat. 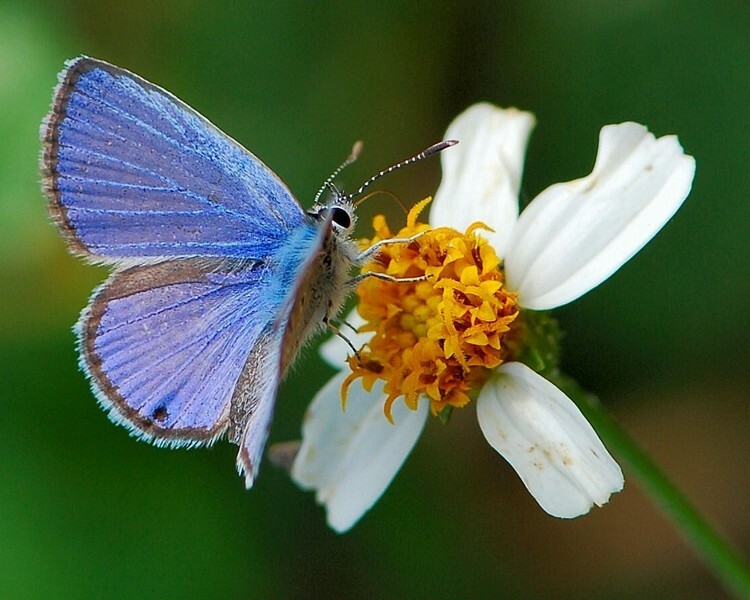 This entry was posted in Bug and tagged bug, butterfly, Ceraunus blue, Photography. Bookmark the permalink.